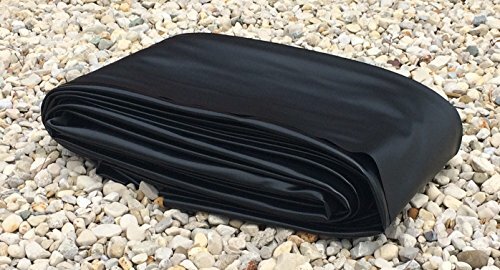 6' x 50' Pond Liner - 20-mil Black PVC for Koi Ponds, Streams Fountains and Water Gardens | Fountain City Art Ctr. PVC pond liners are extremely flexible and are a great choice for conforming to tricky pond contours. Our liners are formulated for this application making them both fish and plant friendly. We always suggest that you cover any exposed surfaces to prevent them from coming in direct contact with UV rays. If you have any questions about this product by USA Pond Products, contact us by completing and submitting the form below. If you are looking for a specif part number, please include it with your message.